The band are busy setting plans for 2018 with a tour of music festivals up and down the country. Currently we are planning with promoters and are looking to embark on a festival tour from May. Currently including already confirmed dates from Stone Food & Drink Festival, Staffs Fest 2018, Fogworth, AED Donate (Revive Live) and a residency at the Edinburgh Fringe 2018. We are talking with folks from the Festival No 6 in Port Meirion and also Meraki in Hertfordshire. 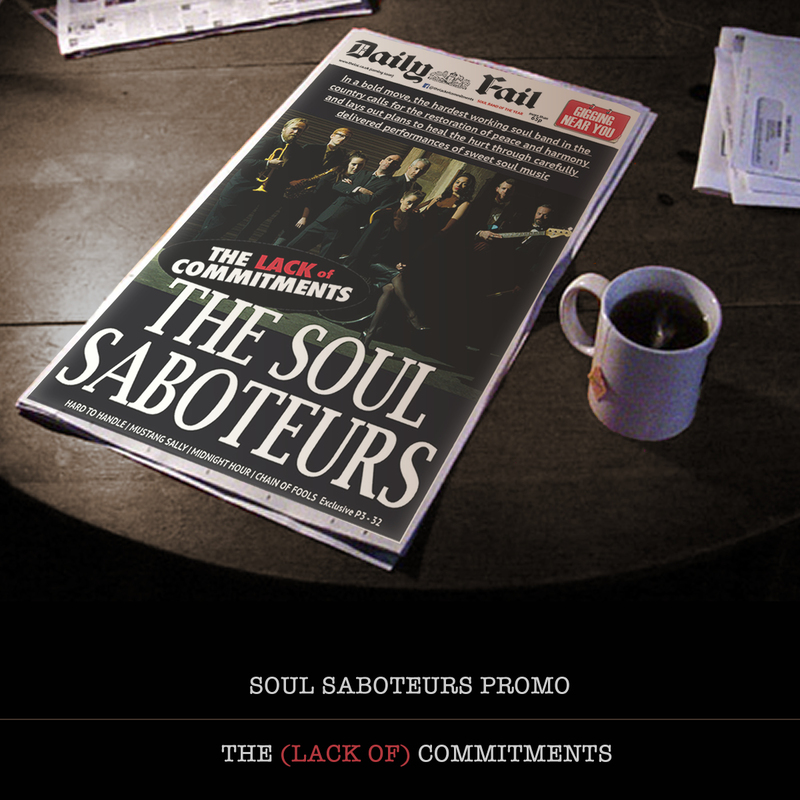 The band released its five-track promo EP in June, the Soul Saboteurs Promo. Following drummer, Duncan Smith’s temporary hiatus from the band earlier this year (he’ll be back). “Everyone was devastated,” band singer Noz told us “but what doesn’t kill you only makes you stronger. The band ethos is so great right now.” Veteran soul drummer Andy Carr, is confirmed as his most able replacement. Also in other team news joining The LoC this summer Charles Ormrod on piano, confirmed by an unnamed source as “a feckin’ amazing ivory tickler that you’ll not find again in a million years”. The group has been busy this summer, playing Fogworth festival (with the very cool Marquis Drive), the Revive Live festival, plus a couple of great profile gigs around Staffs at the legendary Granvilles in Stone, Blakeys in Newcastle and the BBC in Stoke. Also stopping in to have a chat with Signal 2 DJ, Paul Fairclough. Berni Beeston told us after the Blakeys gig “…had the pleasure of seeing The LoC on Friday. These guys rocked the house. Music to my ears. Loved meeting you guys too, can’t wait to see you again and thanks, for the entertainment #amazing.” AED Donate’s Gillian Susan Underwood “wow saw LOC on Saturday at the Lymestone Brewery. You were awesome!”, she goes on to say “thoroughly enjoyed watching you all have a ball entertaining the crowd there. Really look forward to seeing you all again soon!″. The LoC Soul Saboteurs promo has been opening doors and raising our profile. 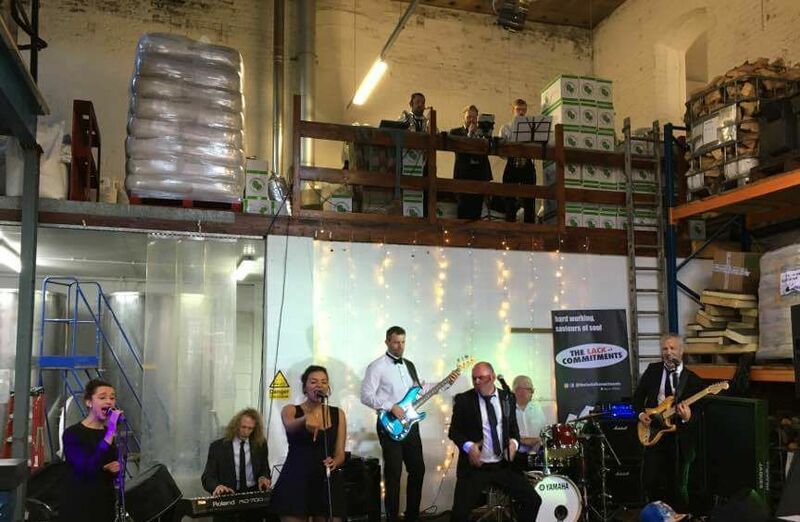 “It’s so great to have a good promo, you can’t underestimate how important to give venues and promoters a feel for what we do”, band guitarist Dave Patrick, “we’ve only launched the band this year, so it’s great to have this audio to get our soul message over”. Recorded largely at Tower Studios, the promo introduces the wall of sound vocals that the band are quickly becoming known for. The band are looking ahead to a thoroughly great and busy 2018, bringing the hard working, saviours of soul to as many folks as we can. Feel free to contact us with comments or festival enquiries.